Change Optimised is bringing a new approach to the world of change management. I am passionate about improving the skills and knowledge of change specialists and leaders of change and bring over 20 years experience in a range of industries, including information technology, mining, not-for-profit organisations, health care, and government. I understand the challenges of managing and leading change across cultures having worked on global projects in Australia, France, the UK, and USA. In addition to my Masters Degree in Management Development and Training, I am a Prosci® certified Change Manager and provide coaching services on the Prosci® Change Management Certification program. 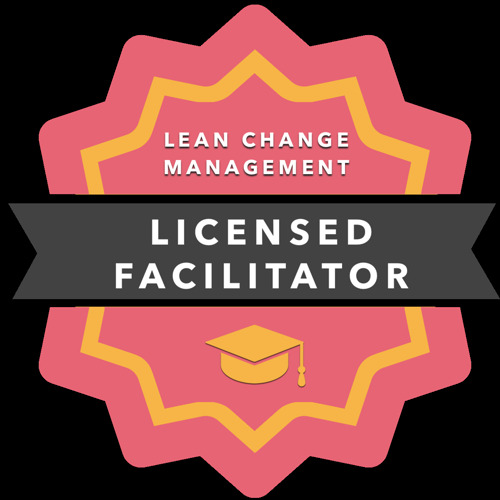 I am a Lean Change Management Facilitator, an NLP Practitioner and Level 1 Meta Coach. I am a keen advocate of the change management profession and enthusiastic about improving the capacity of organisations to embrace change and deliver effective organisational transformation. I enjoy working in partnership with organisations to grow and develop their internal change strategy and capability, and embed a culture of change within their business. They were both good speakers, entertaining, spontaneous, could clearly think on their feet when asked questions, all types of reaction from the crowd were dealt with gracefully and cleverly. Certainly one of the best courses I've ever taken! Both facilitators were authentic, fun, engaging and offered a lot of wisdom and experience. Engaging, dynamic, friendly, fun, knowledgeable, articulate, clear concise communicators. Loved the tag teaming too! Really, really pleased with the talent, skills and delivery of Ro and Charlotte - most energizing and effective training I've ever attended. I've left with real-world skills to employ immediately. That this happened in just 2 days demonstrates real value. Extremely knowledgeable and engaging, with a strong ability to move the session forward when required or when to pause to spend more time on topics of particular interest.